The special committee of the National Council for Technical and Vocational Education and Training (TVET) presented their findings from the interim review report on the TVET after the house, on the 16th Session, December 2015 resolved that there was a need to conduct a comprehensive diagnostic study on the current TVET system. The rationale behind conducting the assessment was to study the effectiveness of the TVET system in meeting desired quality and relevancy of skills, as well as in meeting the required skilled workforce in the priority sectors, particularly in the construction, manufacturing, automobile and hydropower. Presenting the review report, Member of Parliament Phuntsho Rapten, who is also the chairperson of the committee said that despite considerable investments made in the public TVET system, it still continues to face significant challenges- particularly in access, relevancy and quality of skills which are further aggravated by the rapid economic transformation and changing labour market requirements. “As a consequence of TVET system’s inability to respond effectively to the emerging labour market needs, prolonged shortage of skilled workforce (mismatch of skills) has been a continuing reality, which has led the economy to be overly dependent on foreign workers, particularly in the construction sector,” reported the committee’s chairperson. Several members of the lower house raised that majority of the youths opt for TVET due to lack of other opportunities and not out of interest or to pursue their passion. The preliminary findings by the special committee, which was based on broad consultation with the primary stakeholders revealed several inadequacies in achieving the desired outcomes from the TVET program. 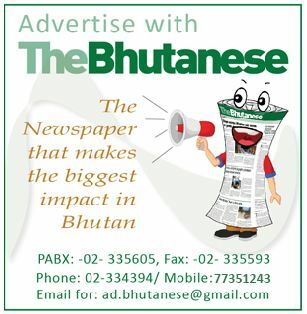 With about 100 registered training providers – government, private and NGOs offering numerous programs/courses at certificate or diploma level, Phuntsho Rapten, said that some of the programs are broadly governed by the policy and related regulations of the labour ministry while some programs are implemented independently by the sector-specific agencies in the health, tourism, agriculture among others. 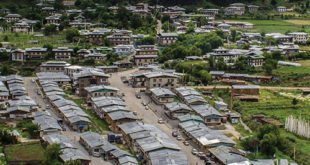 Due to such hindrances, it has become challenging for the MoLHR to carry out holistic national planning, coordination and aligning skills development to the economic priorities. Rebranding the TVET institutes to make the program more attractive and improve the overall image of the TVET programs were also said to have been ineffective after such initiative only caused confusion among trainees, institutes and industries. “As of now, Technical Training Institutes of MoLHR provide TVET programs only at the certificate level. It has neither been able to provide government scholarships nor avail attractive scholarships from TVET institutions outside the country to provide an opportunity for the top performing TTI graduates to pursue higher technical and vocational education. This is one of the reasons why TTIs are not able to attract good performers from school education,” stated the findings by the special committee. It has also been found that Department of Technical Education (DTE) under the labour ministry is bogged down with the bureaucratic works and is not able to provide focused and timely professional TVET services particularly in the areas of research and development, curriculum review and development, professional development. TVET instructors and graduates expressed dissatisfaction over their certificates not being accorded the same level of recognition like their peers in other sectors for the job promotion and position. At the institutional level, there seems to be a lack of well coordinated and standard practice of establishing industrial linkages. Some TTIs reported that for industrial linkage program, they select industries based on the relevancy of TTI courses and sign MoU once in a year mainly for the purpose of on job training. Despite recognizing TVET as an important driver to absorb 20 percent of the students from higher secondary schools in the TVET system by 2024 and generate skilled workforce for gainful employment, its share in the 12th plan period is only 1.8 percent (Nu. 2.1 billion) of the overall outlay. 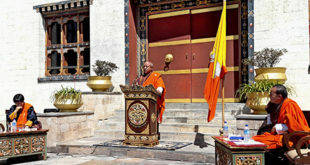 In order to find a clear way forward, the Committee will present its complete review findings along with appropriate recommendations in the summer session after extensive consultations with the Bhutan Chamber of Commerce and Industry, Association of Bhutanese Industries and Bhutanese Automobile Association. It has been found that there are currently more than 50,000 foreign workers engaged in the country, of which the majority is employed in the construction sector. There are six Technical Training Institutes (TTIs) and two Institutes of Zorig Chusum under the purview of Ministry of Labour and Human Resources (MoLHR) and several other registered private and non-governmental organization TVET training providers.